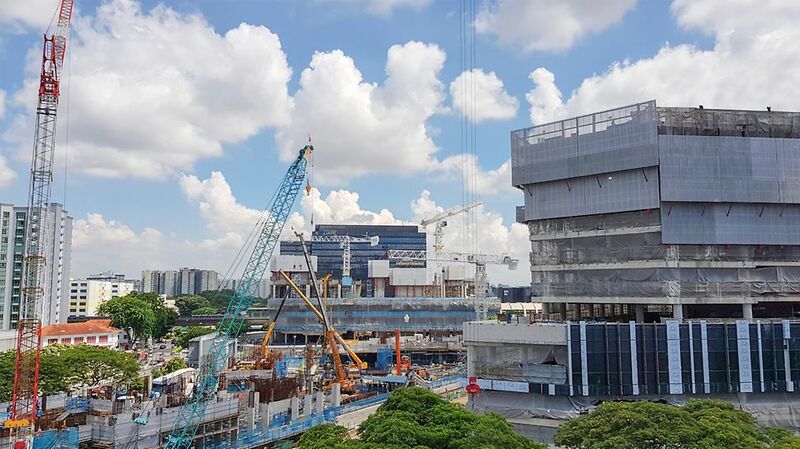 Paya Lebar Quarter is an urban mixed-use development compromising of 3 grade A office towers with close to 1 million square feet, a retail mall with over 340,000 square feet and 3 residential towers with 429 apartments which is directly connected to the Paya Lebar MRT Station. 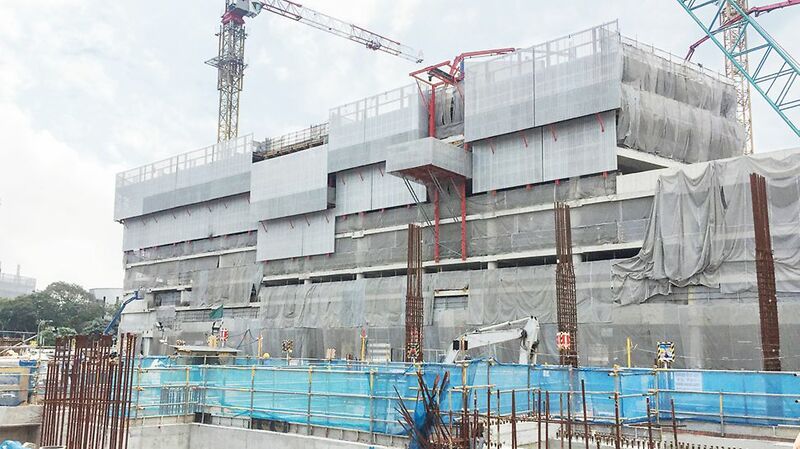 It will be a new bustling regional business hub with a peculiar sense of place and cultural identity. 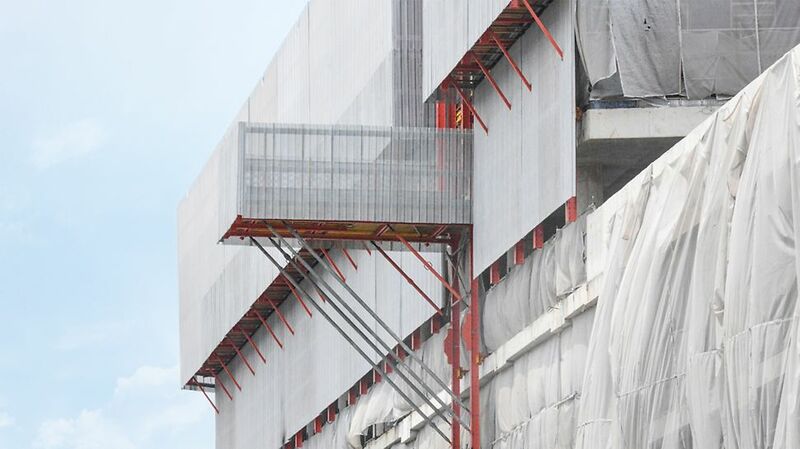 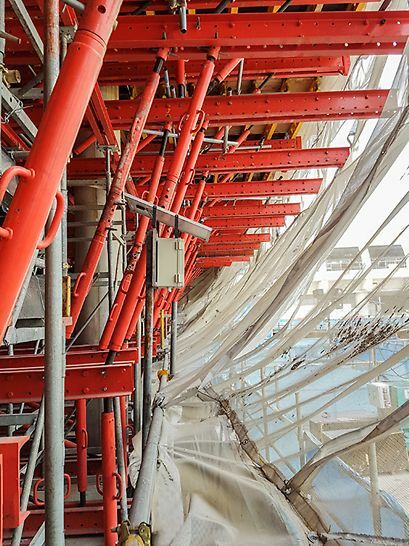 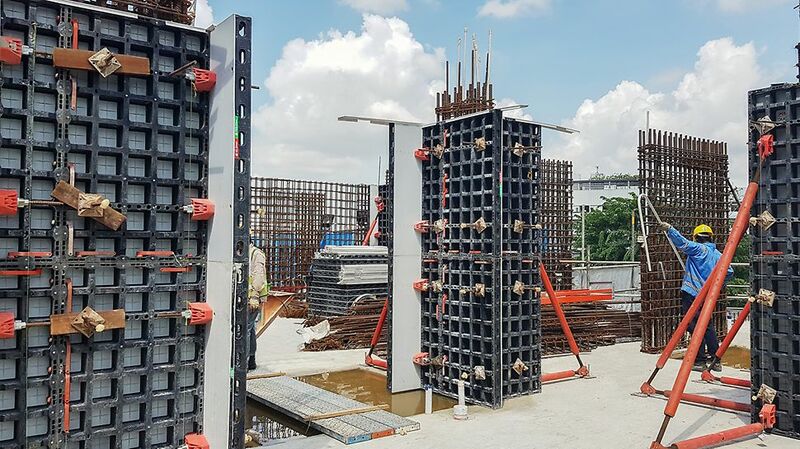 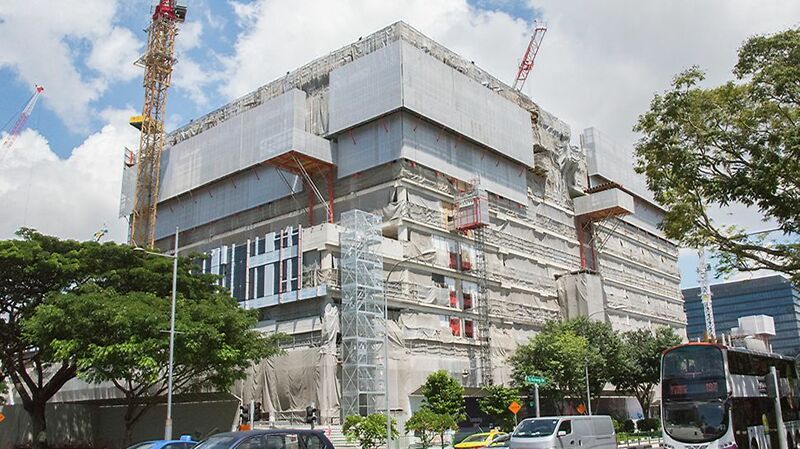 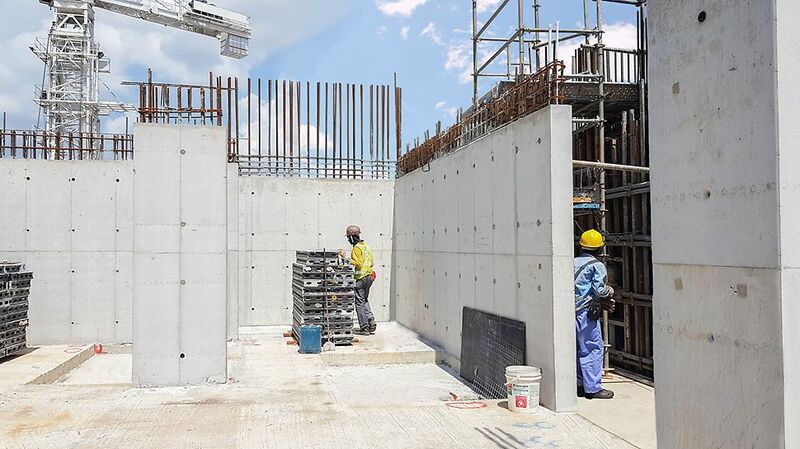 Plot B & D: Installation of the protection screen facing the MRT station and viaducts is made possible without the need of LTA (Land Transport Authority of Singapore)'s application for mobile crane. 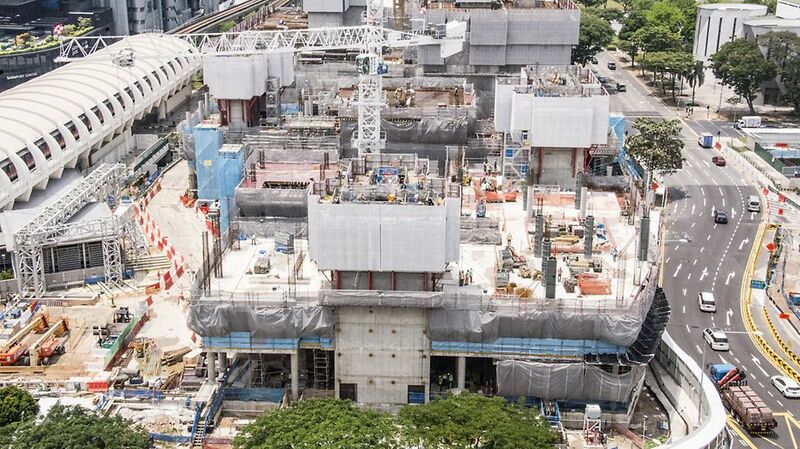 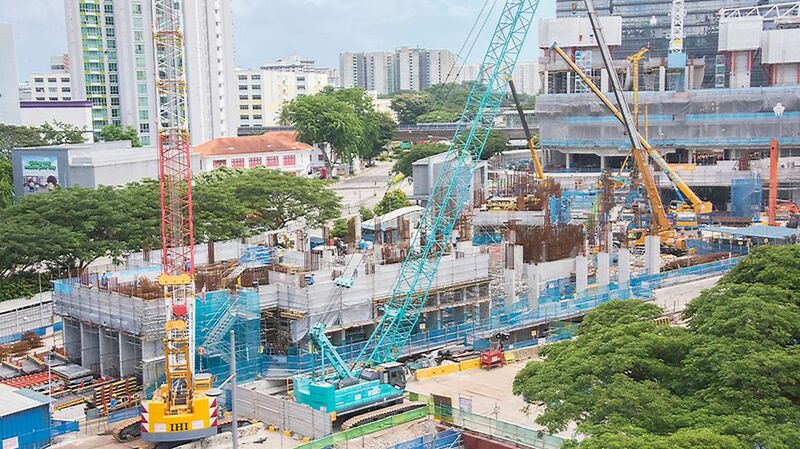 Due to the close proximity of the building from Paya Lebar MRT Station and its viaducts, crane reach is limited. 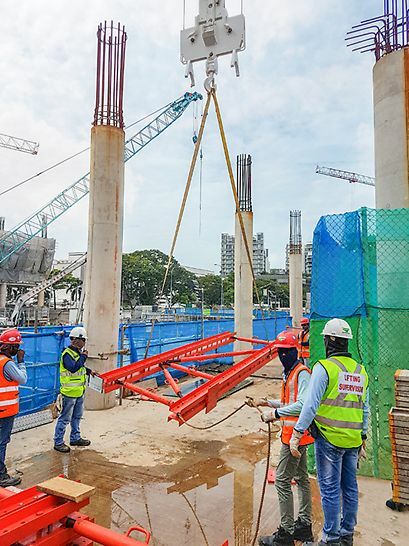 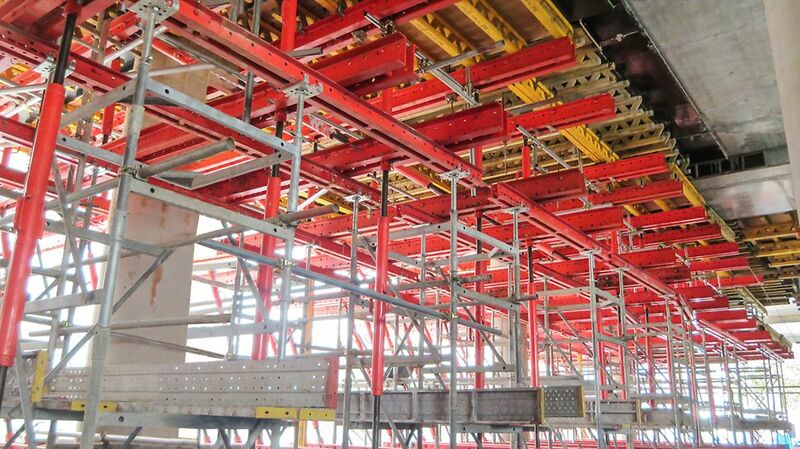 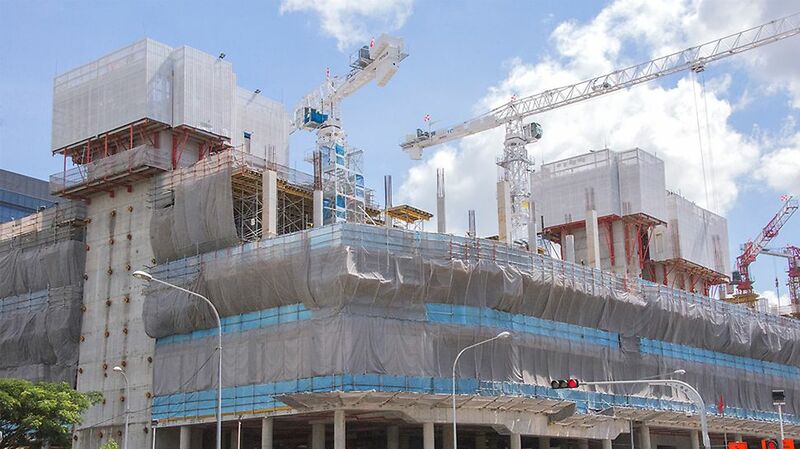 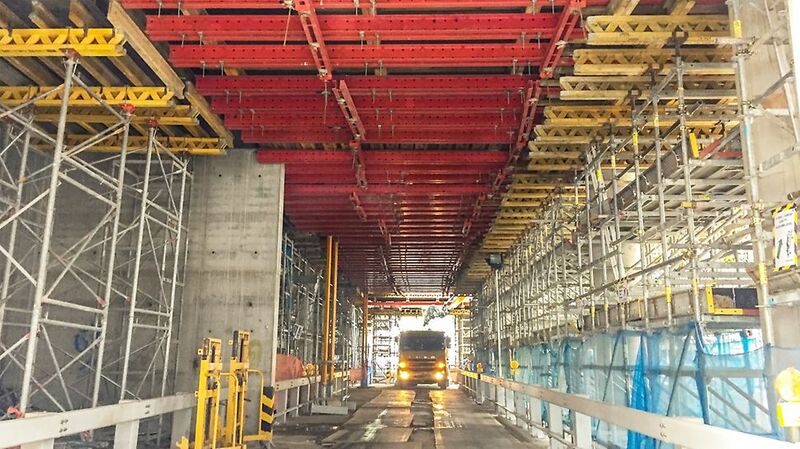 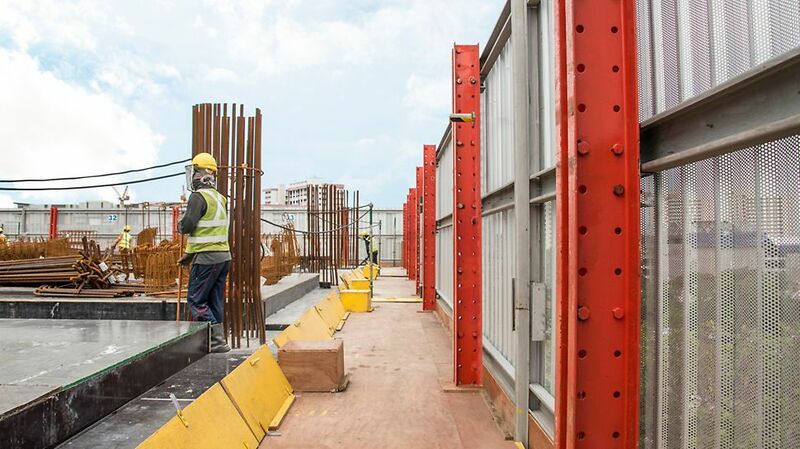 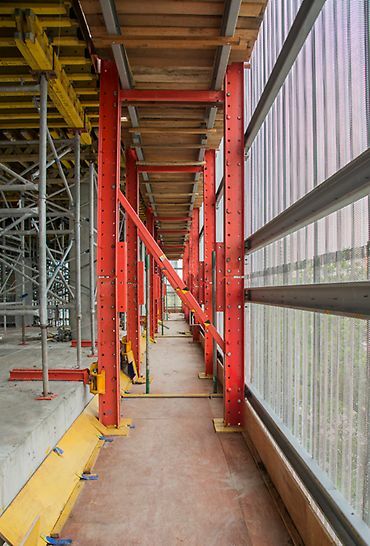 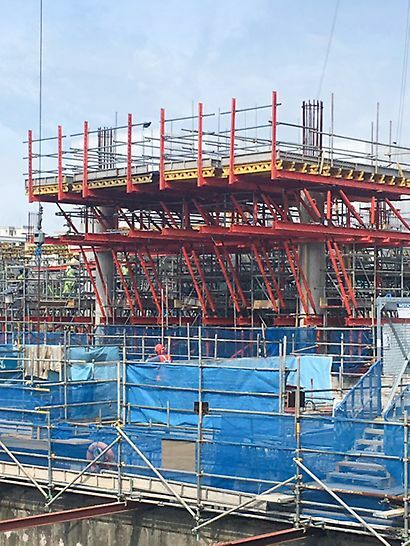 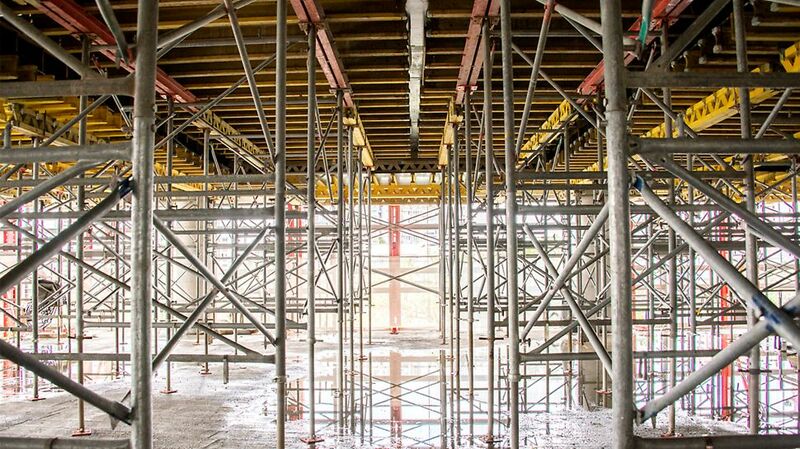 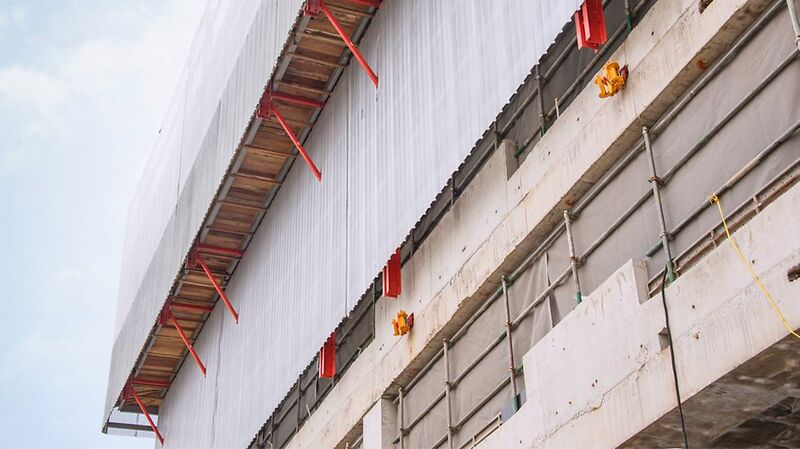 With PERI RCS P Climbing System and a collaboration with Hexacon’s engineers, the perimeter protections facing the MRT station and its viaduct are installed without the use of tower crane. 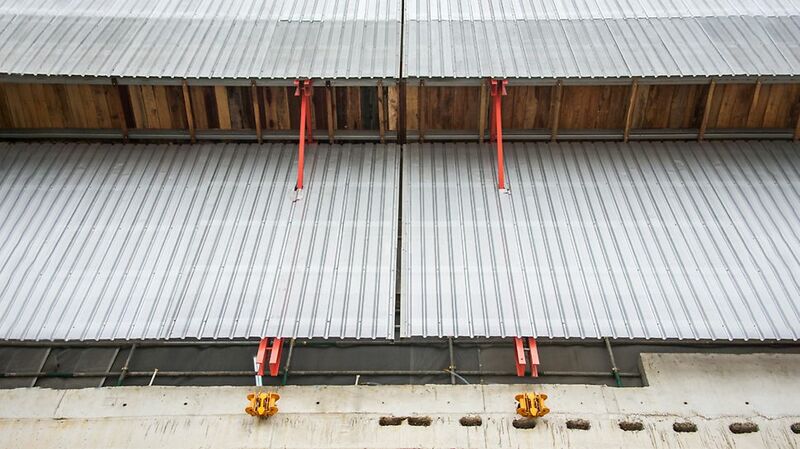 DUO, universally applicable for column formwork on the upper floor.